Students: Looking for Your Summer Adventure? Go Wild! For 2017, we have two Go Wild adventures with a focus on travel deep into our wild special places – and into our mountain history. Join Dave Quinn, award-winning author, photographer, outdoor educator, wildlife biologist and ACMG certified hiking guide, for the adventure of a lifetime! 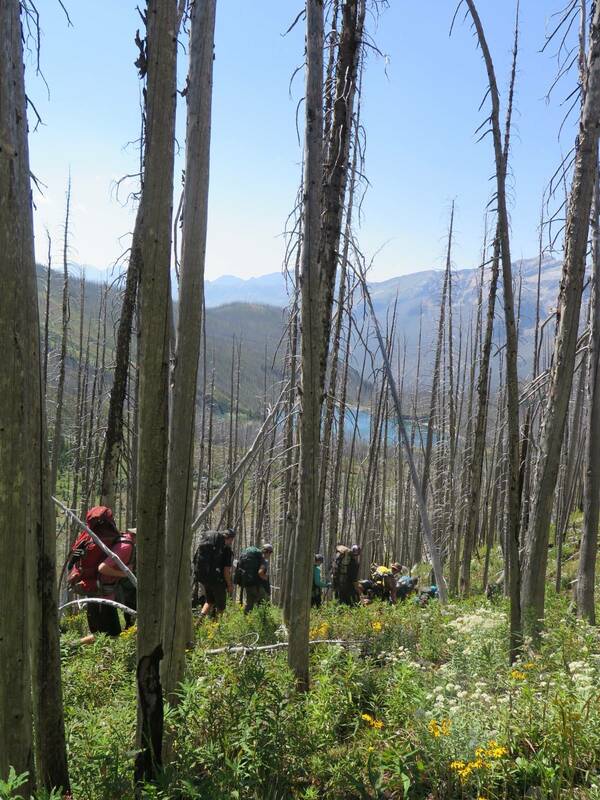 Go Wild challenges local youth 14-18 on six-day wilderness backpacking trips into our own wild backyard, right here in the Kootenays. 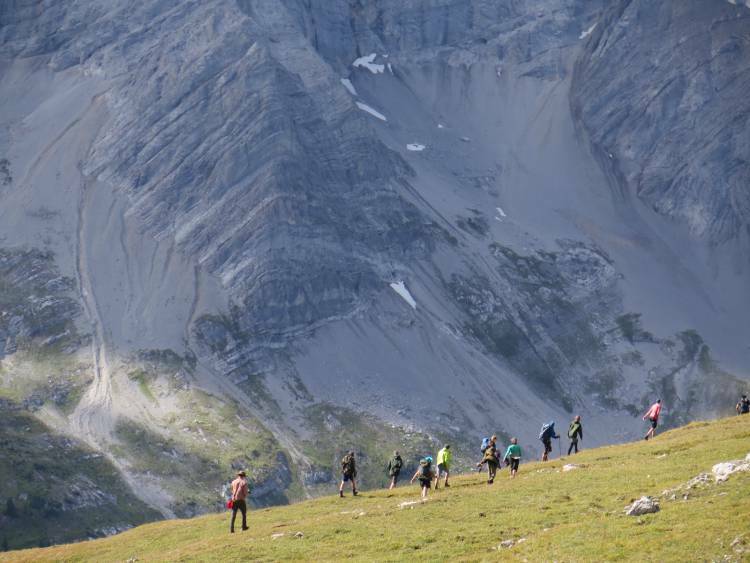 Our Go Wild trips develop leadership skills and inspire a love of the mountains to last a lifetime. Travel back in time to follow in the 1905 footsteps of pioneer conservationist William Hornaday on a traverse of some of the wildest remaining wilderness in the Southern Rockies. This wildlife-rich area straddles the Bull and Elk Rivers north of Fernie, and offers an unforgettable glimpse into the rich past and potential future of the Wild Rockies. Guided by Dave Quinn and Kelly Comishin, professional youth counsellor and experienced wilderness guide who has lead trips in the Canadian Arctic, Patagonia, on the BC West Coast and in the Kootenays. Celebrate the restoration of the historic Earl Gray Pass Trail between Invermere and Kootenay Lake. This traverse of the Purcell Wilderness Conservancy includes dramatic views of glaciers, ancient forests, and five cable cars across Hammill Creek. Guided by Dave Quinn and Leah Evans, certified ACMG guide, professional skier, and founder of Girls Do Ski. The cost for each trip is $500, including leadership services and meals, with a limited number of bursaries available for low income families. Participants arrange their own transport to and from the trailhead with carpool options available. For more information on Go Wild, get in touch with Dave (daveq@wildsight.ca, 250.427.5666). Wildsight would like to thank the BC Gaming Commission for their support of Go Wild!